Whoo-whoo! There goes the train! Image source: screen shot from game. Toca Boca’s iPad and iPhone apps for children are consistent favorites with my youngest children. My three-year-old son favors Toca Robot , a cheery game in which you assemble a robot from an assortment of parts and then navigate it through a maze of balls and walls, collecting stars on your way. My six-year-old daughter is especially fond of styling the shaggy manes of Toca Hair Salon ‘s quirky characters — and it scores points with me for its focus on whimsy and color rather than glamour. My special-needs eight-year-old enjoys a good game of Toca Store , especially the part where he gets to choose which items to sell in his shop. And all three kids adore serving me a big hunk of dragon cake in Toca Birthday Party . The newest member of the Toca Boca app family is Toca Train . If you saw my recent review of Lola’s Math Train , you know any train-centric app is off to an advantaged start with my kids. Big, big choo-choo fans here. Add that special Toca Boca charm, and you’ve got a game full of kid appeal. Mom appeal, too: what I love about Toca Boca’s apps are that they aren’t full of flashing lights and raucous noises; they aren’t full of that frenetic, choppy, quick-cut action that dominates so much contemporary children’s media. (It’s worth noting that I receive many, many offers of apps to review, and I write about very few of them. I only post about apps my kids genuinely enjoy and I feel are worthy of their limited portion of screen time.) Toca Boca games have a gentleness about them, a peaceful interactivity that engages a child’s imagination without bombarding him with bling and frenzy. Toca Robot steps on board. Screen shot. 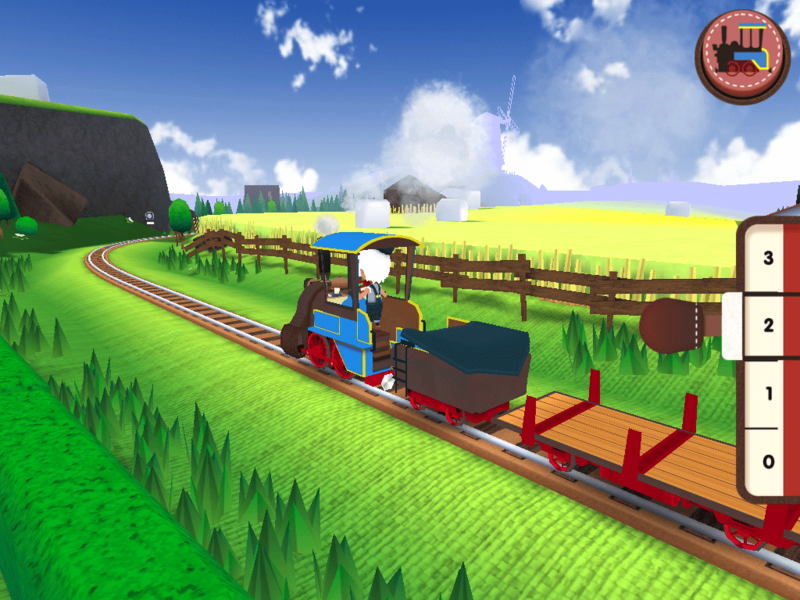 There’s a satisfying train whistle to toot, and you can toggle back and forth from an engineer’s-eye-view to a side view of the train. If your kids are anything like mine, they’ll do a LOT of toggling. And whistling. Especially the whistling. 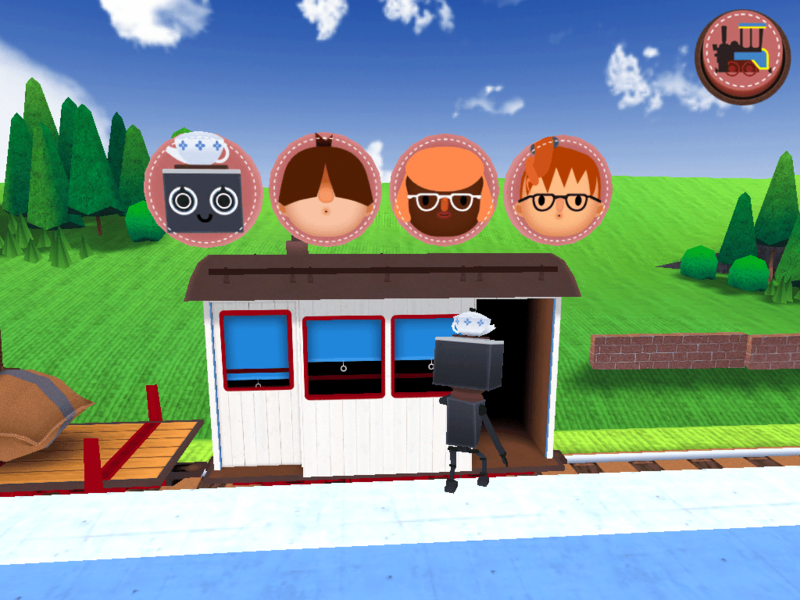 Toca Train isn’t quite as versatile as some of the apps I mentioned above — I’ve noticed it holds my kids’ attention for a shorter span of time than Robot , Hair Salon , Store , and Kitchen . But at $1.99, this is a good choice for the train-loving preschoolers in your house, and has that gorgeous, high-quality Toca Boca animation my kids have come to love.